In light of the The Fed truly adopting a more Bernanke/Yellen-esque approach today, or at least appearing to for the meantime, it would not surprise me in the least to see the destitute homebuilders enjoy something of a renaissance. 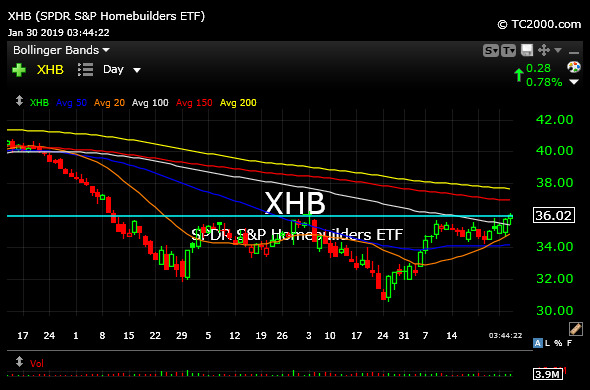 On the XHB sector ETF, below, note the base bottom potential over $36. Names like DHI PHM TOL, among others, are all key to the sector turning things around. Let's see what Facebook has in store for markets tonight with earnings. But today certainly appears to be a win for bulls.